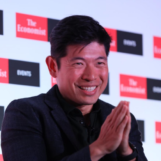 A scant few weeks after closing its Series H led by SoftBank Vision Fund, Grab already has its eye on raising a grand total of US$6.5 billion by the end of the year. Before the ride-hailing giant embarks on its next fundraising round though, Grab said that it wants to invest aggressively; publicly committing to making at least 6 investments or acquisitions across the region this year. No doubt, Indonesia will comprise of a significant number of those investments, since Grab already expressed its intentions to focus a portion of its SoftBank cheddar into Go-Jek’s home turf. 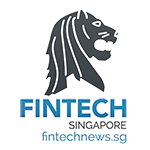 SoftBank is also said to be giving Grab “unlimited support” for the Singapore-based company’s growth, since it seems like the two companies have a longstanding relationship since 2014. Grab opines that the opportunity is ripe for the company to grow in domains like healthcare and financial services, among others. Indonesia was singled out in particular for a significant portion of fresh proceeds. Anthony even claims that they expect to be “four times bigger than” their “closest competitor in Indonesia”. According to Grab, its Indonesian arm’s revenue has doubled in 2018, after Uber sold its assets to Grab. The company had just 30% of the ride-hailing market share in Indonesia, but in 2018, managed to establish 62% market share of the ride-hailing market. However, it is worth noting that dominance in ride-hailing may not translate to dominance in fintech spheres. 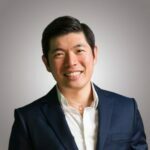 Grab will have strong existing players like Akulaku to contend with, along with Go-Jek’s own efforts to strike while the iron is hot on the P2P lending scene in Indonesia. Within the past year, Grab has minted relationships with Indonesia’s OVO, Tokopedia, Bank BTN and Bank Mandiri in its target region perhaps in preparation for the push. As of today, Grab has raised a total of US$4.5 billion following its Series H round. Most recently, Grab was able to secure US$1.46 billion from the SoftBank Vision Fund, led by the charismatic Masayoshi Son.